I was intrigued to hear that many people, Gwyneth Paltrow included, have been using some sort of bee therapy for health and beauty purposes. What on earth does this entail I wonder? Smothering skin in honey or maybe swallowing bee venom or maybe getting stung (yikes) for therapeutic purposes? I asked Tara Heath, based in Cailfornia, to find out what all the buzz is about? What if we told you getting stung by a swarm of bees could make your look gorgeous and improve your health? We realize that statement sounds a bit outlandish and evokes images of cartoon bears stealing honey and guzzling out of large honey pots (Winnie the Pooh, anyone?). But it turns out, the idea isn’t so far fetched! You don’t have to live in Hundred Acre Wood to get in touch with your inner beekeeper! Have a read and see what we mean! Golly, What a Bee Sting! When we wake up in the morning, we all hope to look our most bee-e-a-utiful! (Sorry, we couldn’t resist.) To assist with that, a very crunchy beauty trend is having resurgence lately. We’re talking about apitherapy. Here are the things you need to know about this new (old) trend in cosmetics! Using bee products as a homeopathic remedy is actually an ancient tradition. Egyptians used apitherapy to treat all sorts of diseases and ailments, including back pain and skin diseases. Now it’s used to treat fatigue, can be found in all sorts of organic beauty products, and can even fight lyme disease. The best approach is to apply the bee sting directly to the desired area. Different parts of the body react differently to the venom, and are stung to treat myriad ailments. Please note, this is best attempted under the care of a homeopathic doctor. Don’t pluck a bee from the nearest flower and jam it into your arm! It probably won’t achieve your desired effect – and the poor bee will have died in vain! Lately, scientists are even using bee venom to treat MS. Seriously. 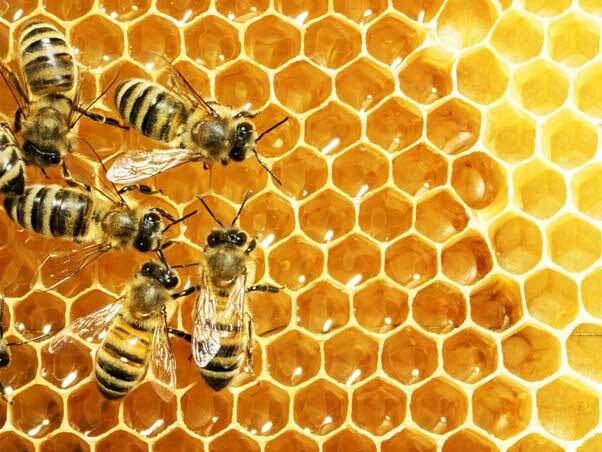 The bee stings help MS sufferers cope with pain, muscle weakness, lost coordination, and inflammation. 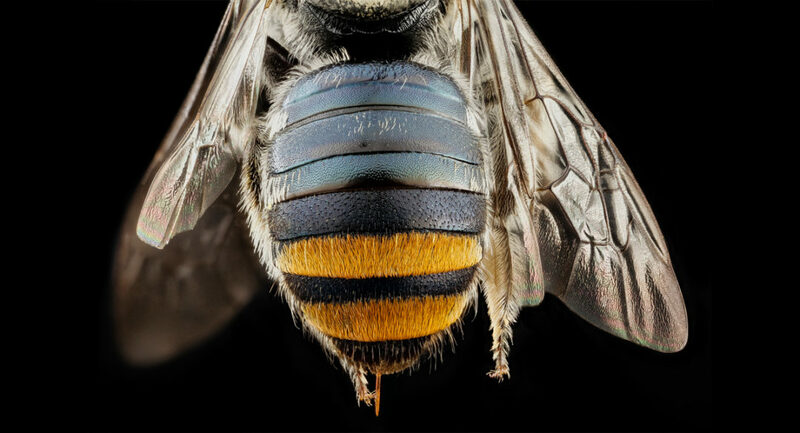 Much of this is due to two key components in the bee venom: adolapin and melattin. However, the science is relatively new and somewhat fringe, so it’s best to consult multiple doctors before undergoing treatment. What other companies use bee ingredients? The most famous users of apitherapy are Burt’s Bees – the company got its start when a local artist, Roxanne Quimby collaborated with her neighbor and beekeeper, Burt Shavitz and began making candles with unused beeswax. They started selling their goods at local craft fairs. More and more people began buying their candles, and eventually the duo went on to create their famous lip balm. A whole line of natural cosmetics followed. Now you can find their beauty products at most drug stores! Some new lip glosses offered in cosmetics stores like Sephora and ULTA even use bee venom to create a lip-plumping effect. It’s harmless and gives you a Bardot-rivaling pout! What’s not to love about that? Fortunately, the “stinging” sensation wears off after ten minutes or so. A quick Google search will show you countless home remedies featuring honey and beeswax. And if you’ve ever visited a health food store, you’ll see many natural products featuring apitherapy. You can always start small, with a beauty product or kitchen beauty treatment, and expand from there. If you are curious but unsure, talk to your physician or a local homeopathic healer. They can help point you in the right direction. Apitherapy.org is also a great resource. Their website provides testimonials, articles, and administrators of the therapy. Tara Heath is a journalist in California. She has been in the health and beauty field for several years and is always interested in researching the latest treatments and techniques. I hope you do’nt mind me contacting you but l am very confused. on website s they maybe connected. l wondering you or your colleagues may know if there is anything may help. l have used baby shampo and boiled water twice a day. Faceccream at the moment l am finding is upsetting my face. looking on website it suggest msybe connected with the liver but l am not sure. I’m so sorry but I’m not familiar with this condition and also not medically trained. I do hope you find the solution soon.